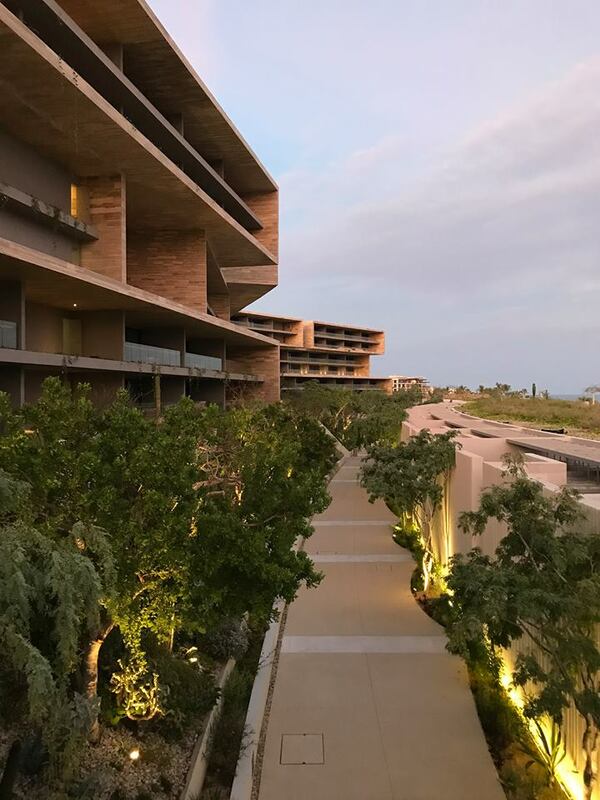 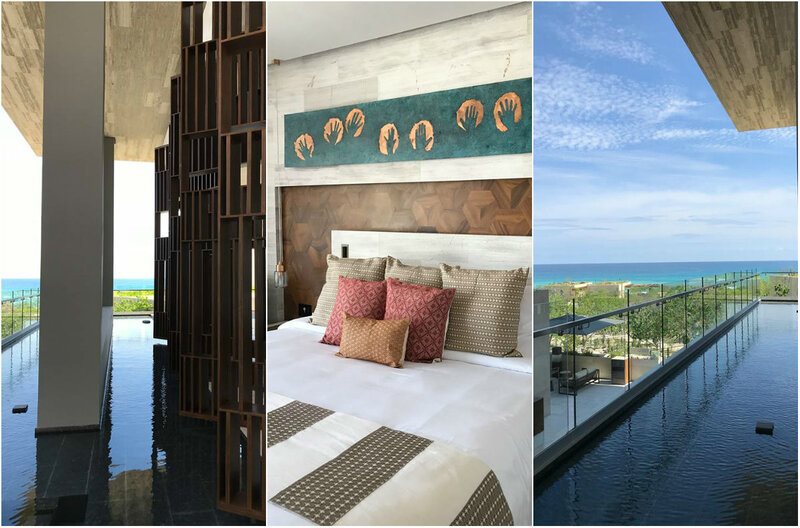 After months of dreaming about its completion, the new Solaz Resort Los Cabos, a part of The Luxury Collection, is finally OPEN! 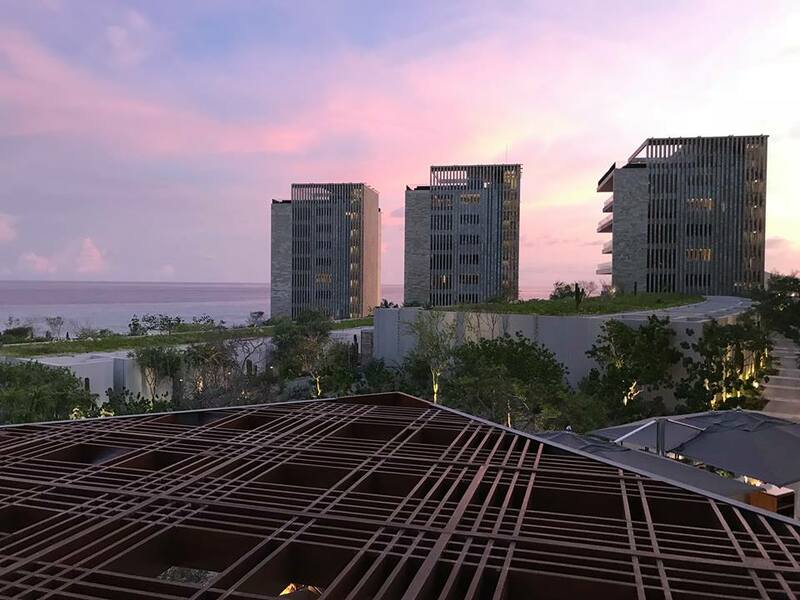 We couldn’t be more excited as this resort is the perfect place to escape and disconnect from the tensions of everyday life. 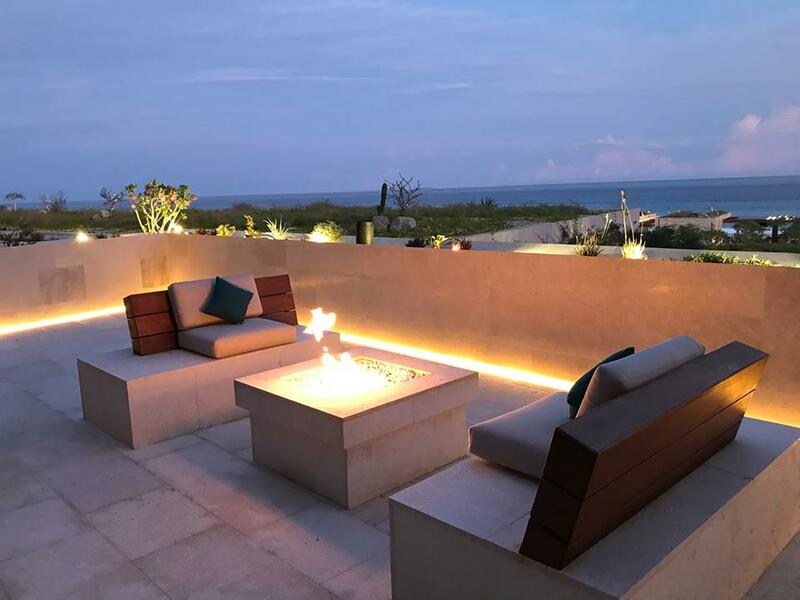 But Solaz, a Luxury Collection Resort, Los Cabos is also designed to feature the modernity, warmth, and sophisticated design that is, CABO. 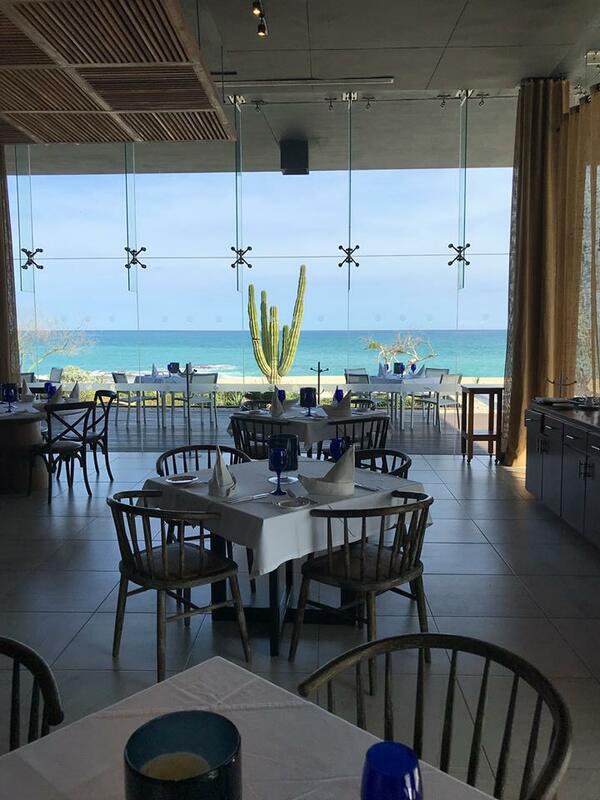 All beautifully and lovingly wrapped in the natural raw beauty of Baja California Sur! 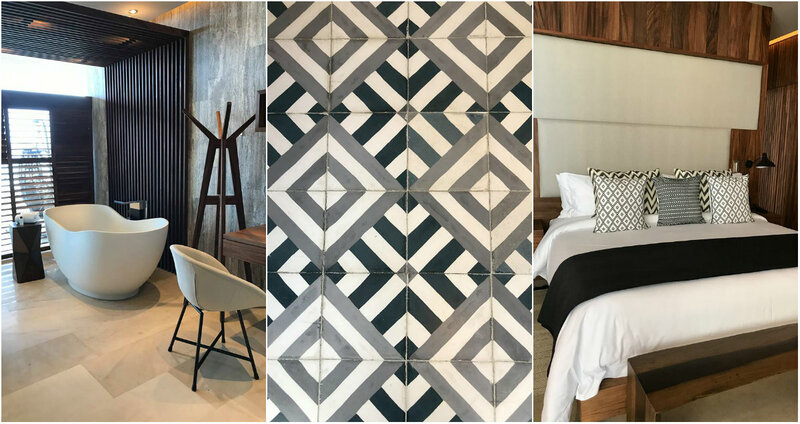 As a creative partner to the resort, ELENA DAMY has been able to see the incredible property come to life, one thoughtful detail at a time. 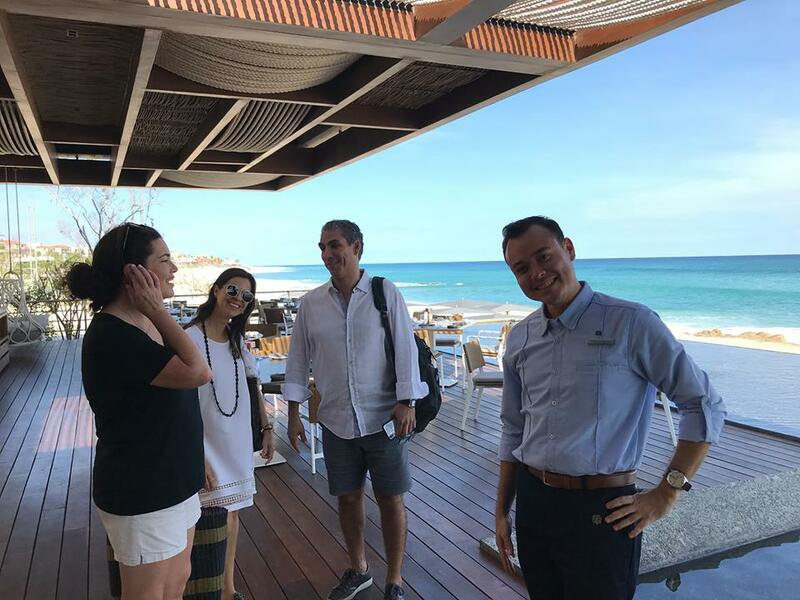 However, Carlos and Elena Damy recently had the pleasure of sharing Solaz with our friends Rebecca Grinnals and Kathryn Arce, the owners of Engaging Concepts and the geniuses behind the Engage! 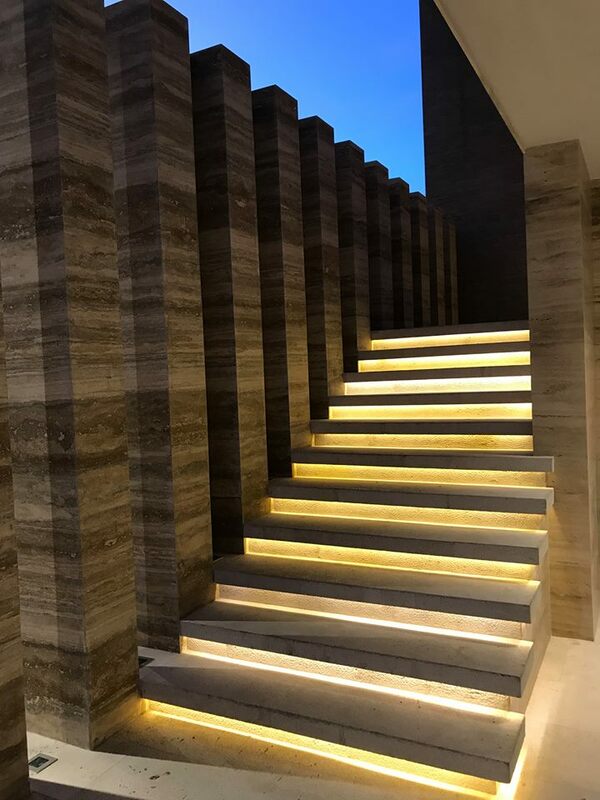 Summits. 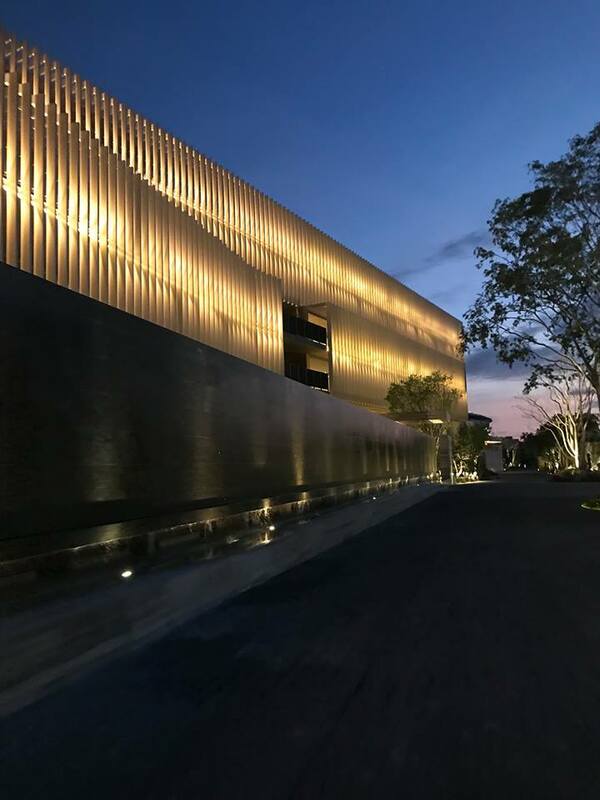 Why the tour now? 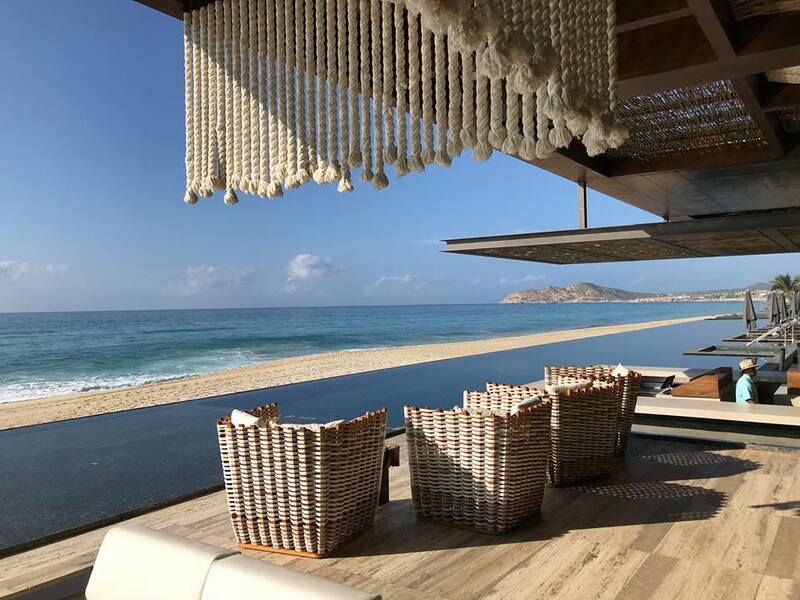 Because this incredible resort is the location and host partner for the upcoming Engage!18 Mexico Luxury Wedding Business Summit scheduled for this December! 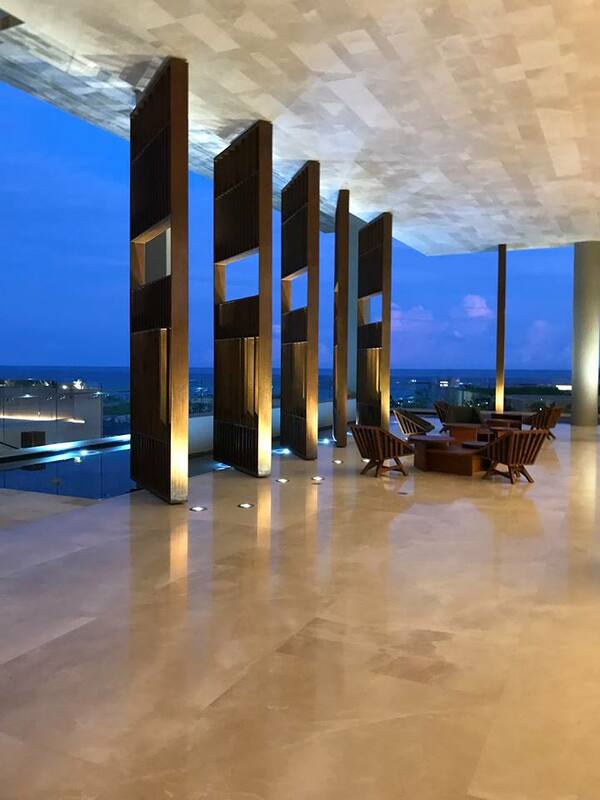 We cannot wait for the best of the wedding industry to join us here at Solaz! 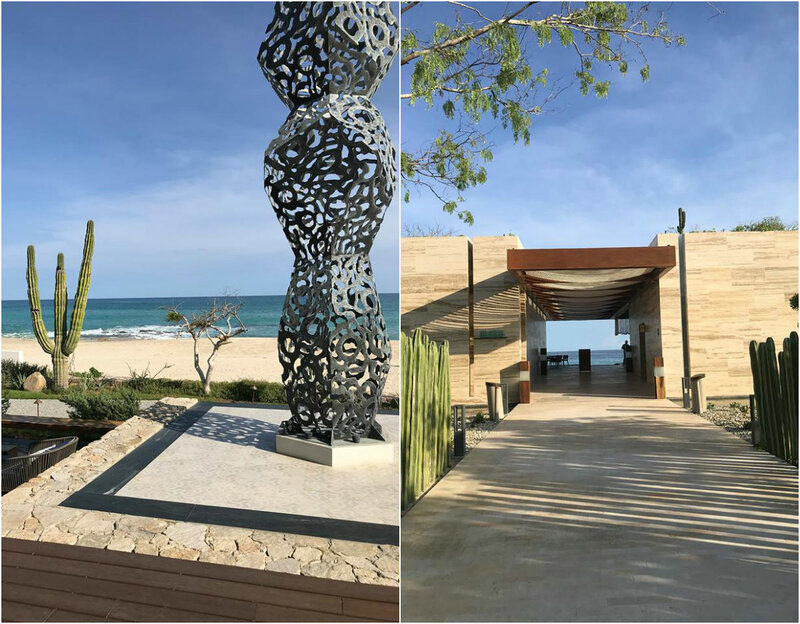 As you will see here in these images, taken over several days, it’s a Cabo hotel to experience firsthand. 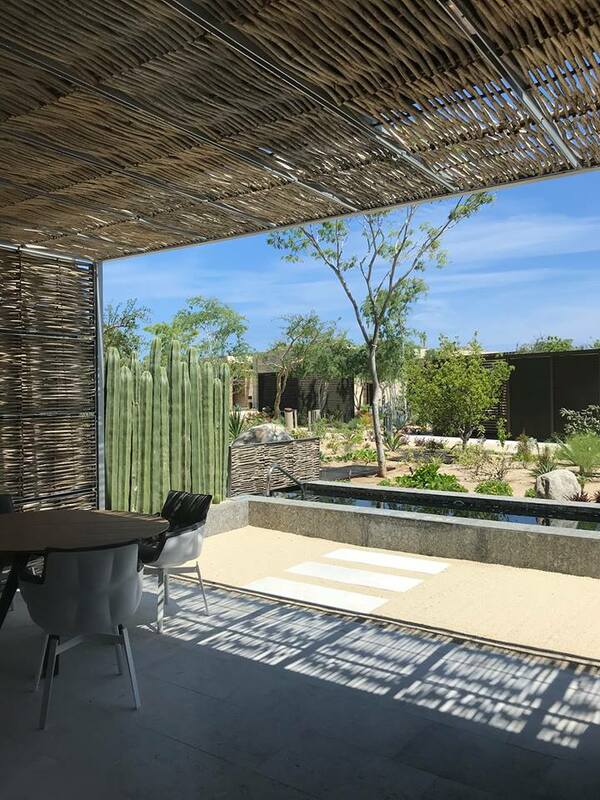 Solaz Los Cabos occupies 34 acres overlooking the Sea of Cortez, midway between the city of Cabo San Lucas and the town of San Jose del Cabo (known as “Los Cabos”). 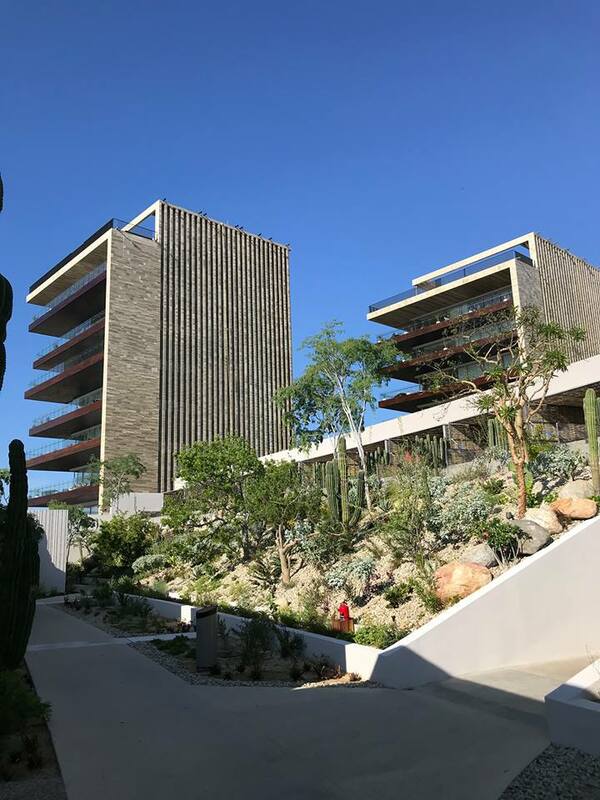 It is important to note, Solaz is the first hotel in Baja California Sur for The Luxury Collection Hotels & Resorts brand! 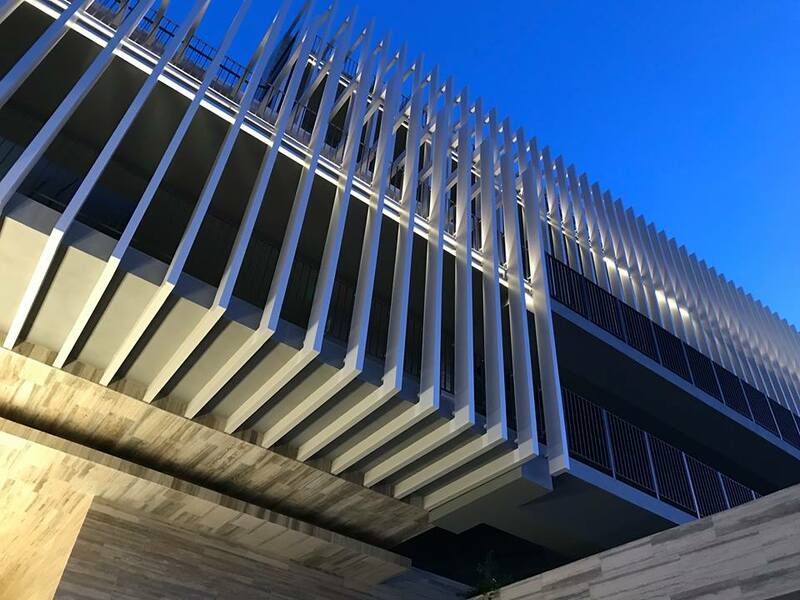 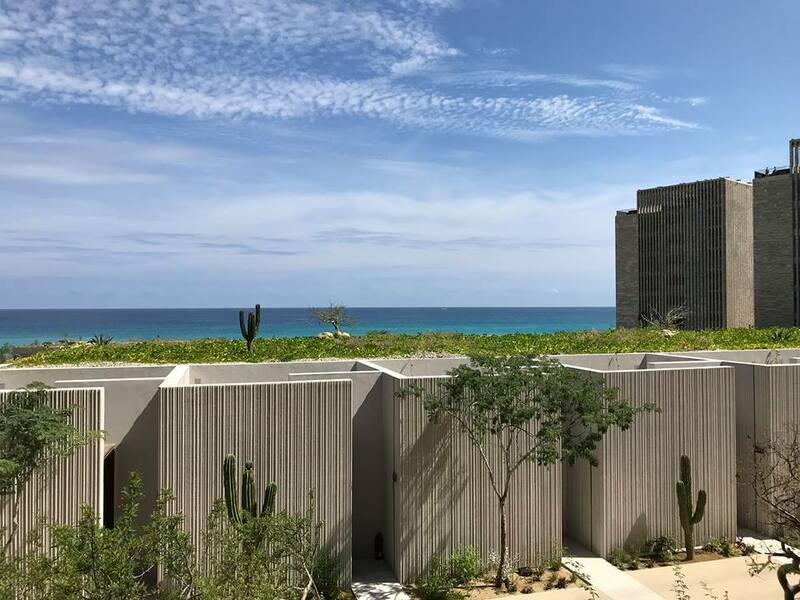 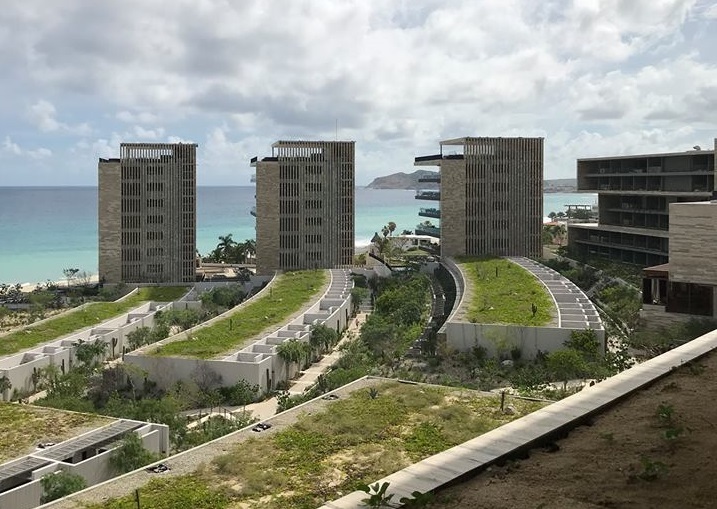 Designed by Mexican architectural firm Sordo Madaleno, the resort has terraces that blend the local desert landscape with quarry stone, granite, marble, and wood for a contemporary expression of modern Mexico. 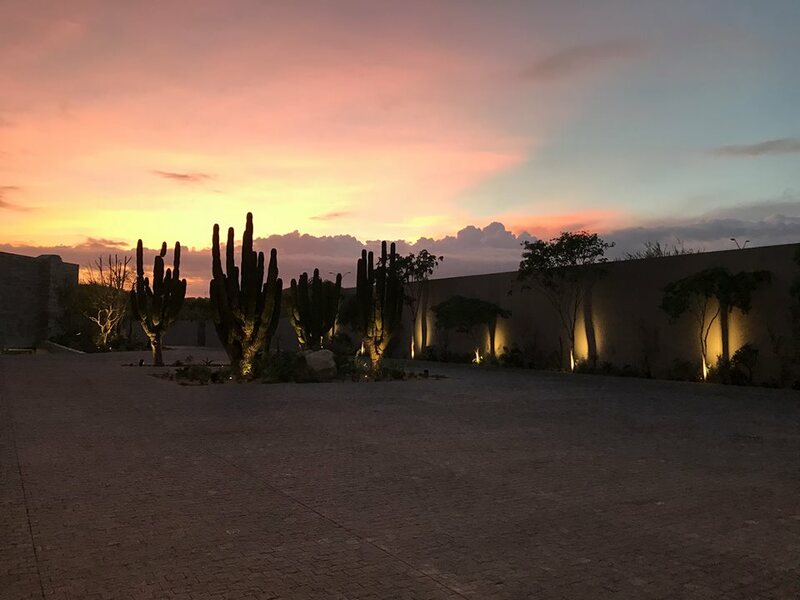 And, the luxury resort also celebrates its dedication to eco-friendly and endemic practices by surrounding the property with a sustainable “dry jungle” featuring only endemic species and flora. 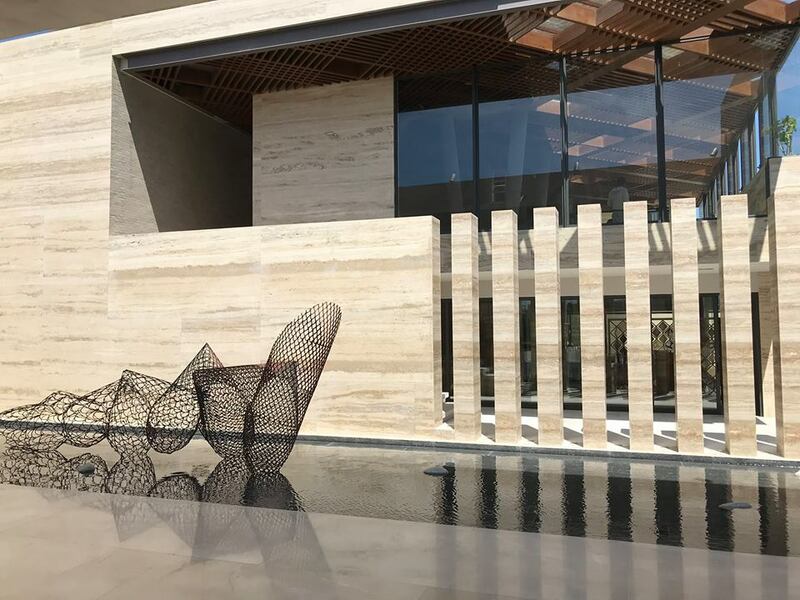 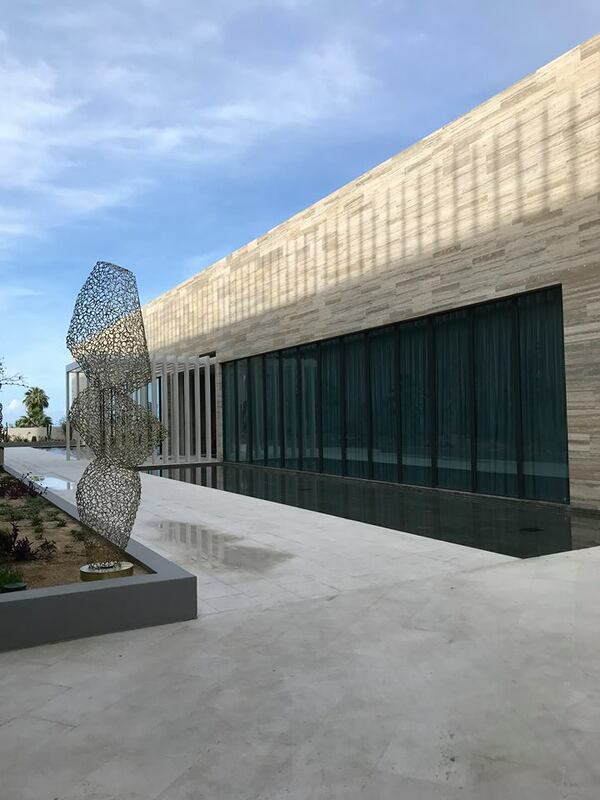 The design of Solaz Los Cabos also showcases original artworks and sculptures throughout the property, each created by Mexican artist César López Negrete. 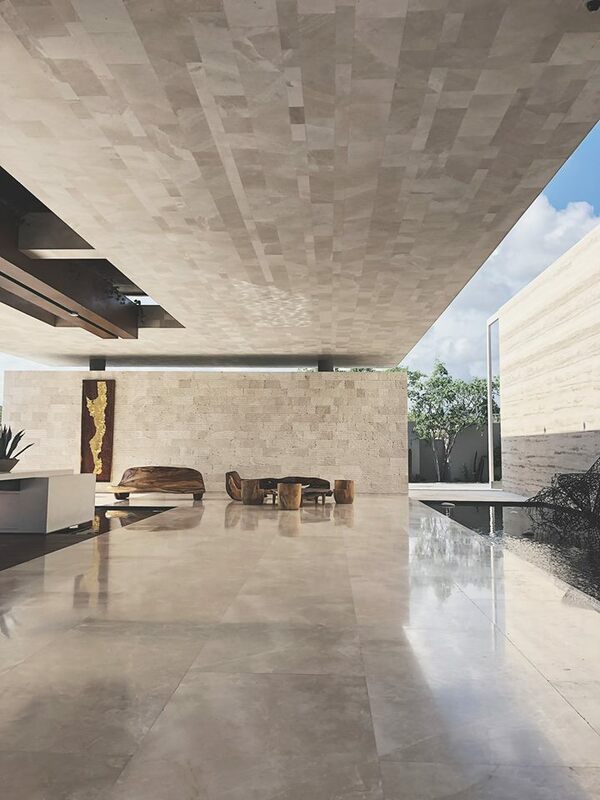 You can see his creations in key locations, each one more intriguing than the next. 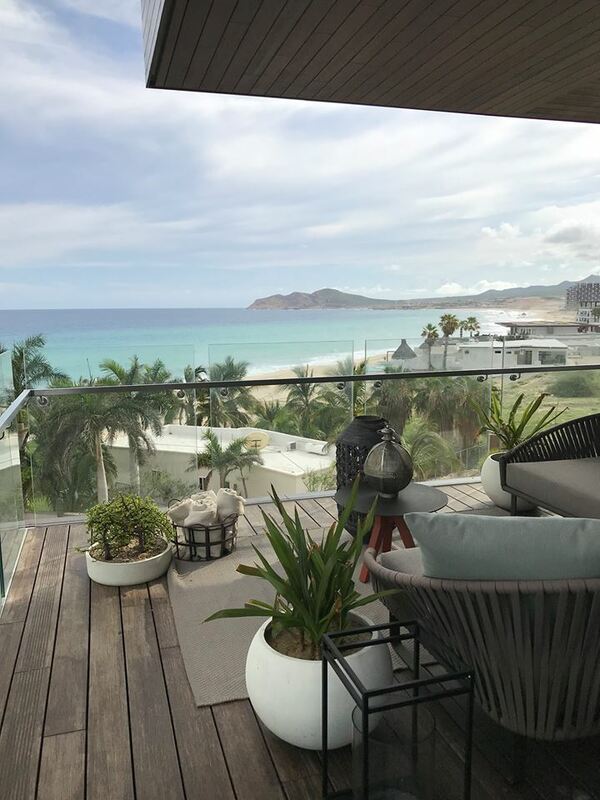 As Baja natives, it’s a joy to experience this breathtaking hotel firsthand. 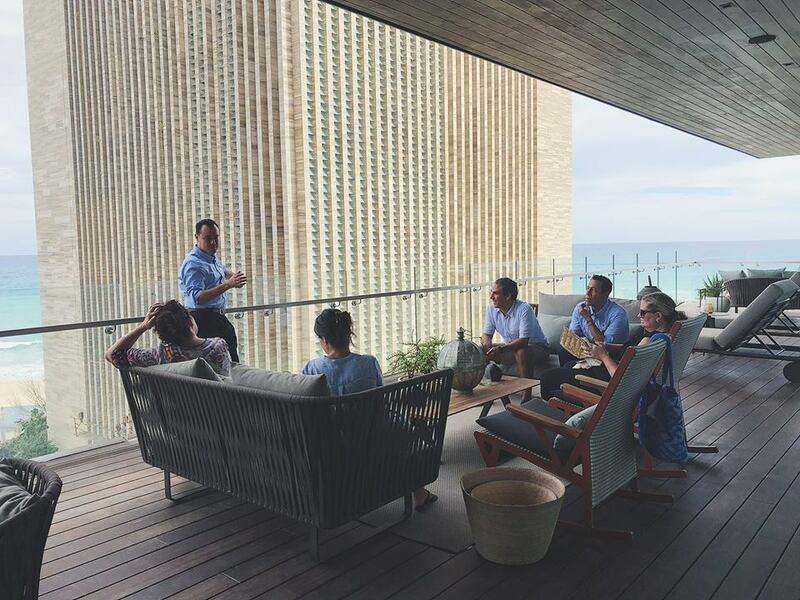 But to share it with our Engage colleagues and collaborate ideas with them, as well as the hotel management, is a dream come true! 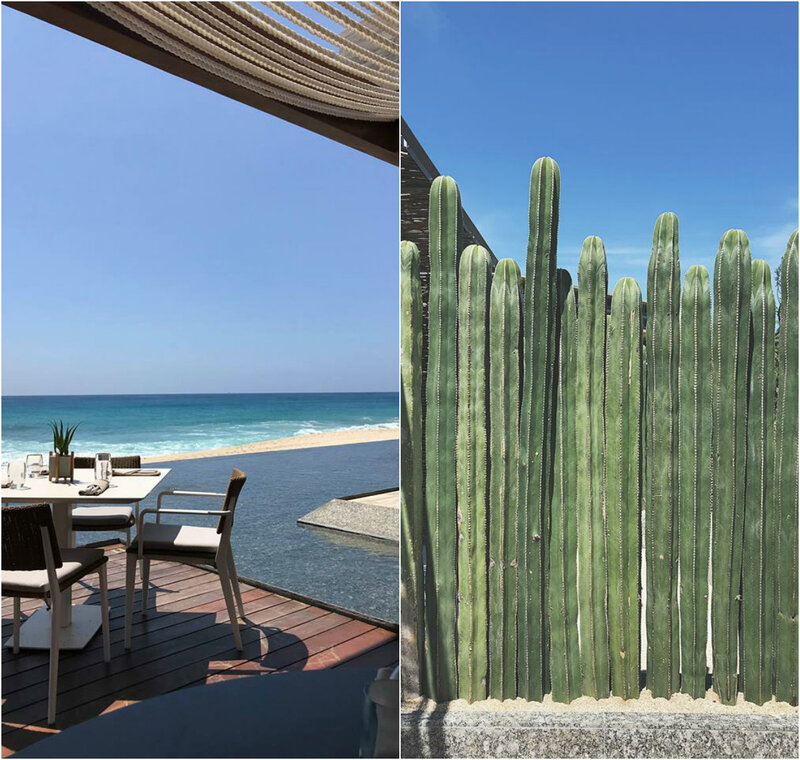 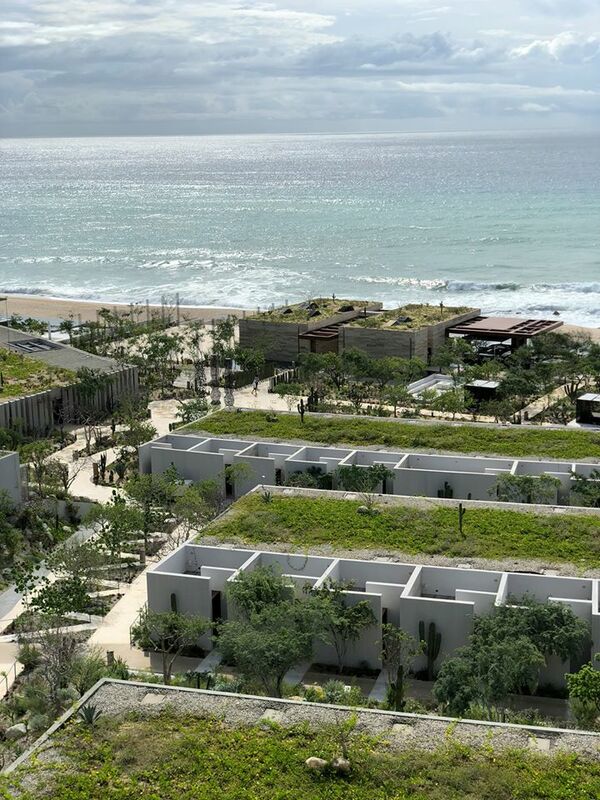 Now, it’s your turn to get inspired by the Baja beauty that is… Solaz, a Luxury Collection Resort, Los Cabos!